By soaking pulp from hard pumpkin or any winter squash, we can easily skim off the delicious seeds and roast them to nutty perfection. 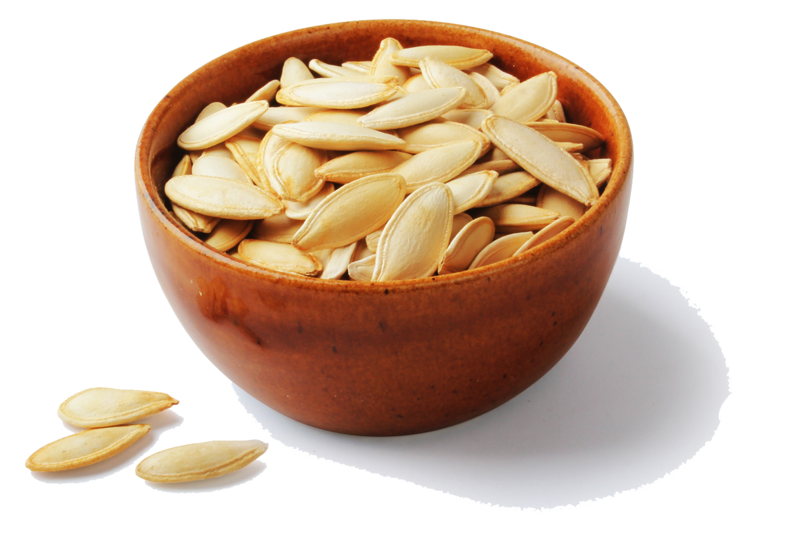 This is my favorite method to save time and get perfectly roasted pumpkin seeds every time. We cook winter squash often, whether it’s baking whole squash to make pumpkin puree or cooking spaghetti squash in the Instant Pot to top with meatballs or make into a casserole. All winter squash seeds can be roasted. Some will be a little tougher than others, but they are all delicious! Winter squash is sweet and still much lower in carbohydrates than potatoes, making it suitable for the keto diet in moderation. It also doesn’t contain the starches that feed bacteria low in the gut, making it suitable for the GAPS diet. Of course, every Halloween we have loads of pumpkin seeds from pumpkin carving! 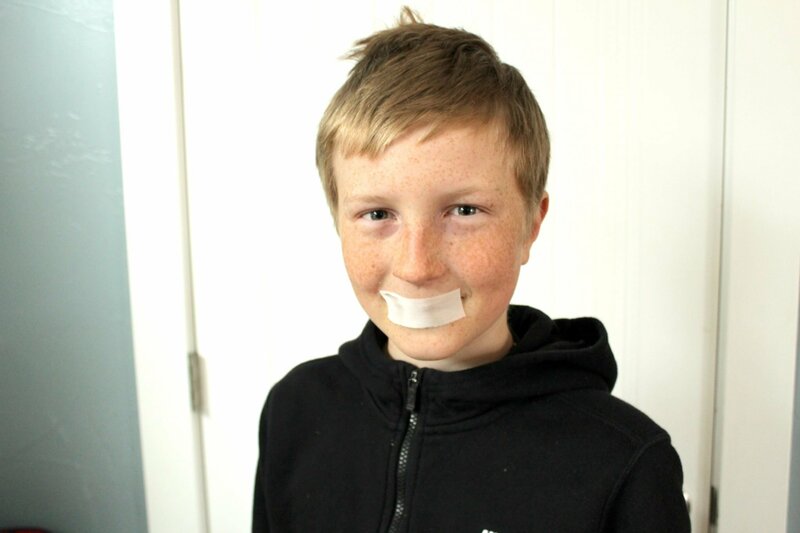 I save the pulp as my kiddos scoop and design their perfect pumpkin face. 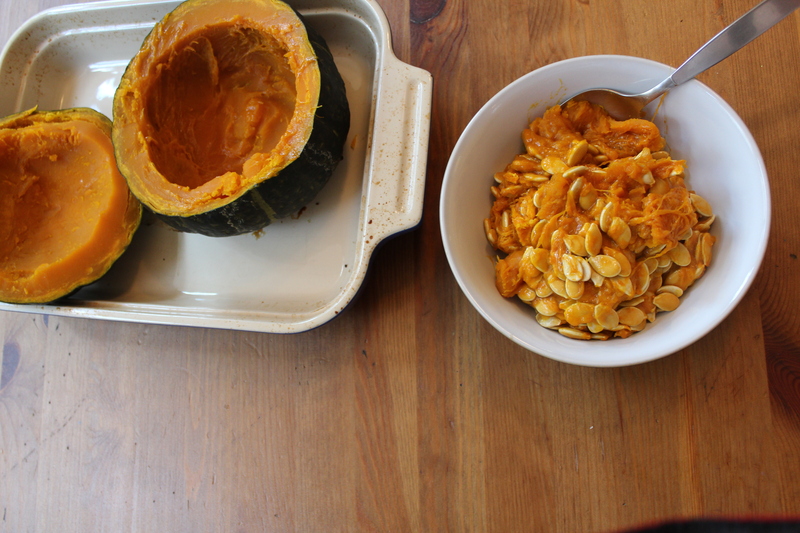 While we’re in the kitchen anyway, it’s easy enough to scoop squash seeds into a bowl rather than the compost. By soaking the salt makes its way through the whole seed, instead of just on the outside. The salty brine also helps the pulp to separate from the seeds, making the tedious task of removing seeds from pulp much easier. Scoop pulp and seeds all into a medium mixing bowl. Cover with filtered water until the pulp is under water. Then add 1 teaspoon sea salt and allow to soak for at least an hour, but not any longer than 12 hours. After soaking, the seeds will float to the top and be easy to remove. Remove seeds by skimming the top of the water and allowing excess water to drain off (I just let it drip over the bowl, I don’t dry them specifically). Spread seeds without the pulp evenly over a shallow baking dish, or baking sheet with sides. Top seeds with about 2 tablespoons of olive oil and toss to coat all the seeds. If some of the seeds are dry, add another tablespoon or so (how much you need depends on how many seeds you are roasting). Sprinkle with a light layer of salt. After 25 minutes, stir and check doneness. Cook an additional 7 minutes at a time until crisp and golden brown. Store in an airtight container up to a month. I like to use zip-top snack bags for quick additions to lunches!